Custard & Crumble love this Swedish furniture range by Nordic Style. This beautiful nursing chair is the perfect addition to your nursery. The chair comes in a natural calico fire retardant fabric (as shown in image) and therefore needs a fabric to go over the top. You will need to provide your own fabric to be upholstered by Nordic style, or alternatively we can search for one for you. 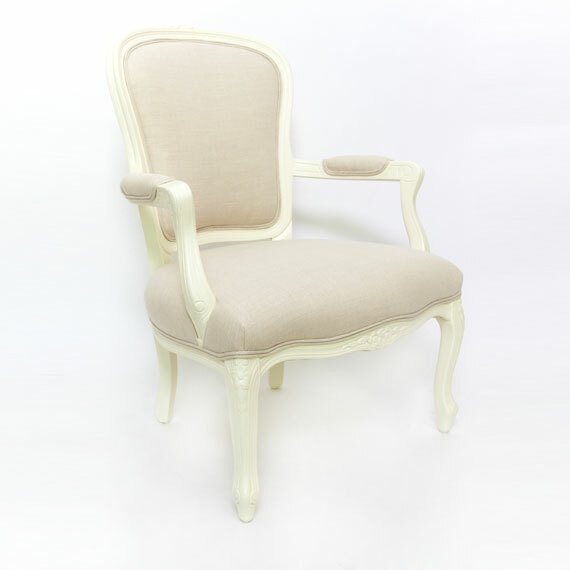 The chair has been finished in classic Swedish White which is a solid paint finish. Your own fabric will be upholstered free of charge.